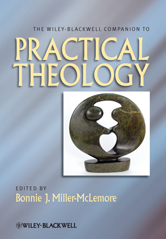 Through a series of essays contributed by leading experts in the field, The Wiley-Blackwell Companion to Practical Theology presents an introduction to practical theology as a major area of Christian study and practice, including an overview of its key developments, themes, methods, and future directions. The first comprehensive reference work to provide a survey, description and analysis of practical theology as an area of study. A range of leading scholars in the field provide original contributions on the major areas, issues, and figures in practical theology. Reviews an extensive range of methods for studying theology in practice, along with sub-disciplines in theological education such as pastoral care and preaching. Covers developments in the discipline in a range of global contexts and distinct Christian traditions. Shows how practical theology is relevant to everyday life.